Samsung has been known to apply its very own TouchWiz interface on top of Googleâs Android OS. For better or for worse, the TouchWiz does impact many potential buyers. Samsung Galaxy Discover is looking to please those who donât want to root their smartphones just to get rid of Samsungâs OS layer. The Samsung Galaxy Discover is headed towards Straight Talk and Net10 in the states and will be running what seems to be a stock version of Android 4.0. Even Samsung is looking to project that âfeatureâ or the lack of it. It advertises that customers can now âexperience mobile life without carrier or Samsung overlays.â But those of you who were looking to enjoy the perks of Nexus 4 on a Samsung high end smartphone will be sorely disappointed. 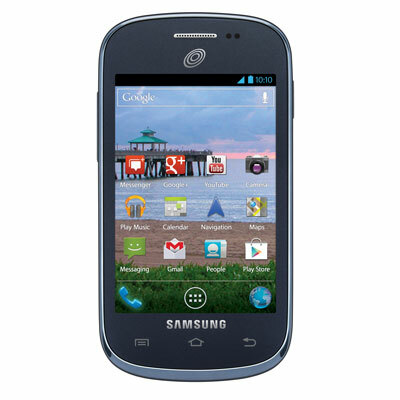 The Samsung Galaxy Discover seriously lacks that ability and is like to be a budget offering. The smartphone runs a Qualcomm 800 MHz processor which can hardly lift the burden of the stock OS, this might be the major reason that Samsung decided to ditch its resource hogging User interface. The Samsung Galaxy Discover will feature a HVGA 3.5 inch screen with a resolution of 320 x 480 pixels. The smartphone will also come running Android 4.0 Ice Cream Sandwich and will have 2.7 GB of on board memory. There is a mandatory microSD card slot for expansions up to 32 GB. The device will have a 3 MP rear facing camera and it will be powered by a 1,300 mAh battery. This smartphone is likely to be priced very comparatively and will keep many light users happy. For those power users who want a secondary smartphone capable of running stock Android, the Samsung Galaxy Discover may be a viable option. There is no word on when the Samsung Galaxy Discover will be available for purchase or how much it will cost.